We have to say though that we still greatly prefer Sunfire's Age of Apocalypse look, and we were glad when he adopted this guise for a while - when he was a Horseman of Apocalypse. Still his classic look is... well... classic, and is one of the most timeless X-Men costumes as it is still in use today. 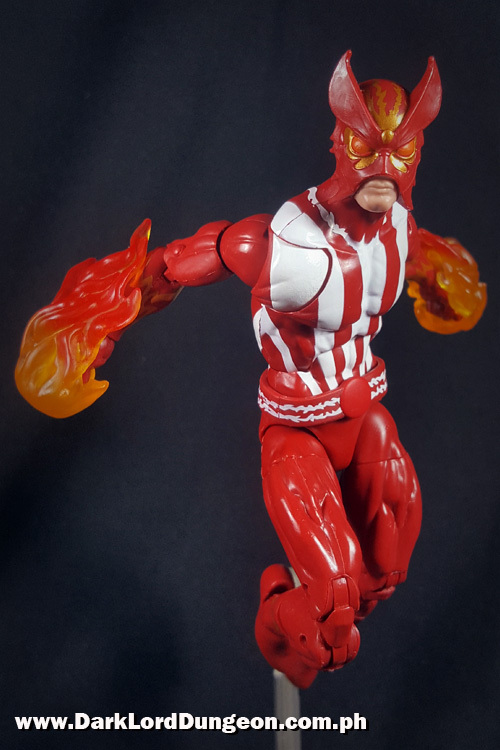 Sunfire's blister pack reads "A master of solar energy, Sunfire converts solar radiation into powerful plasma outputs. Perfect for scorching his enemies." 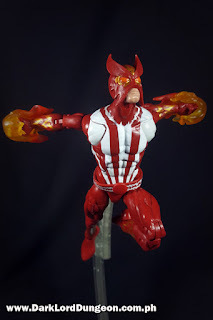 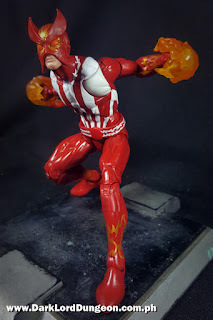 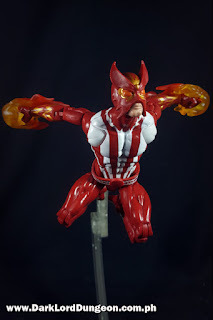 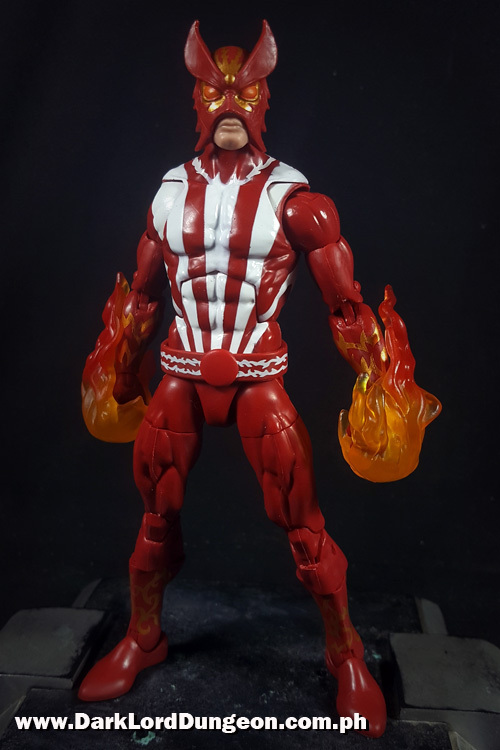 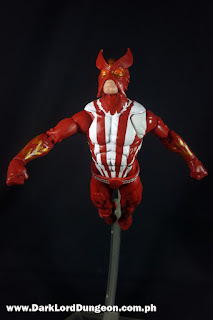 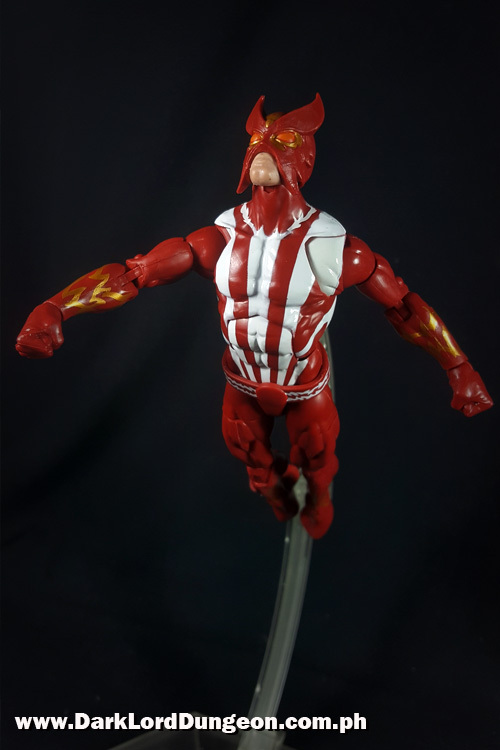 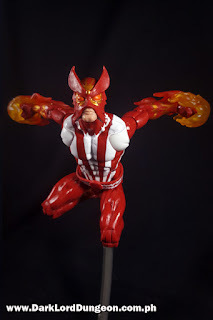 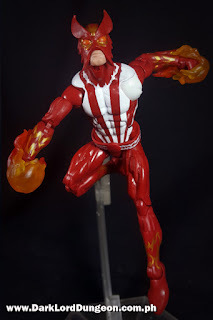 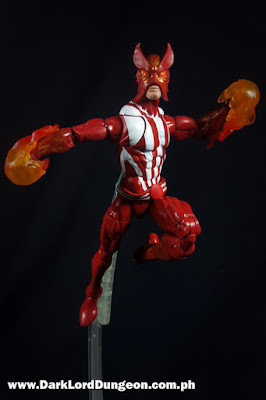 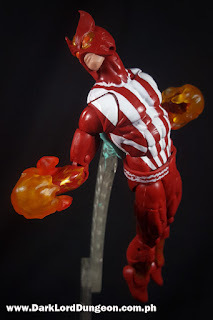 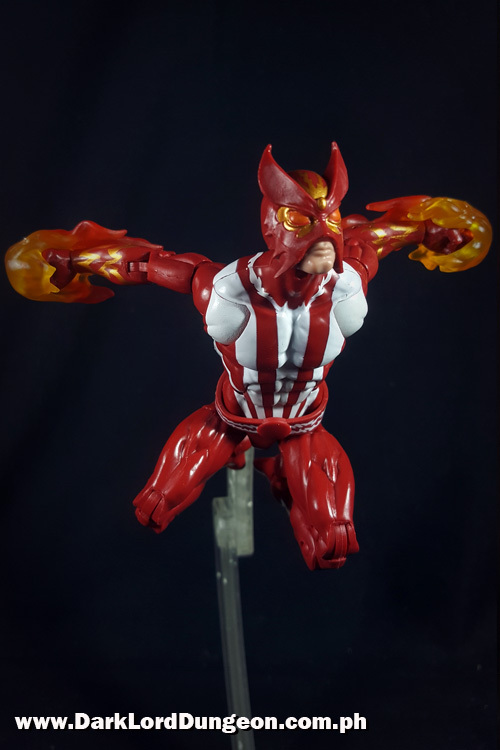 WHAT'S TO LIKE ABOUT THE MARVEL LEGENDS X-MEN SERIES SUNFIRE ACTION FIGURE? 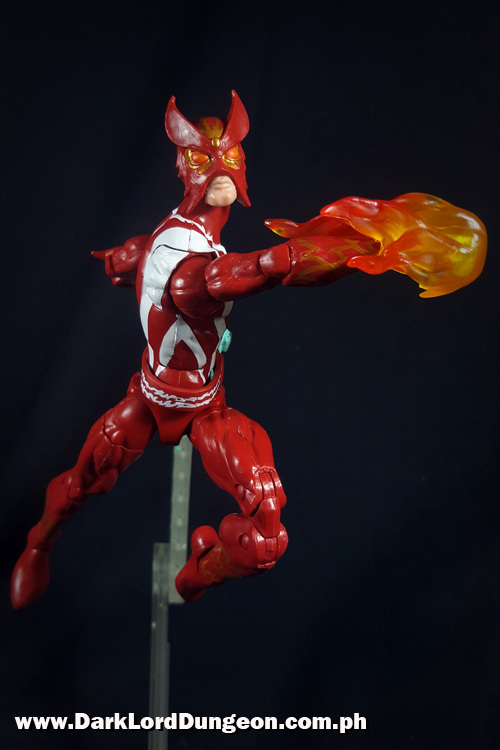 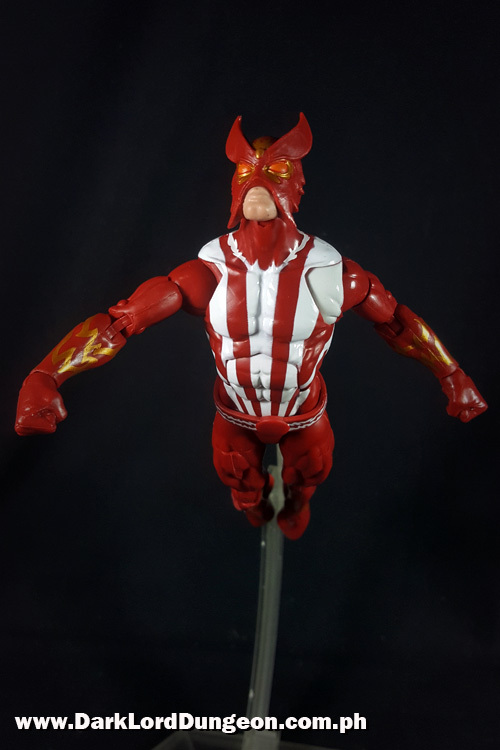 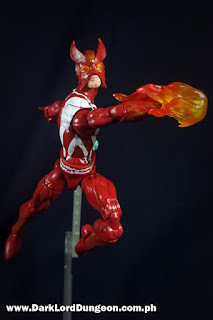 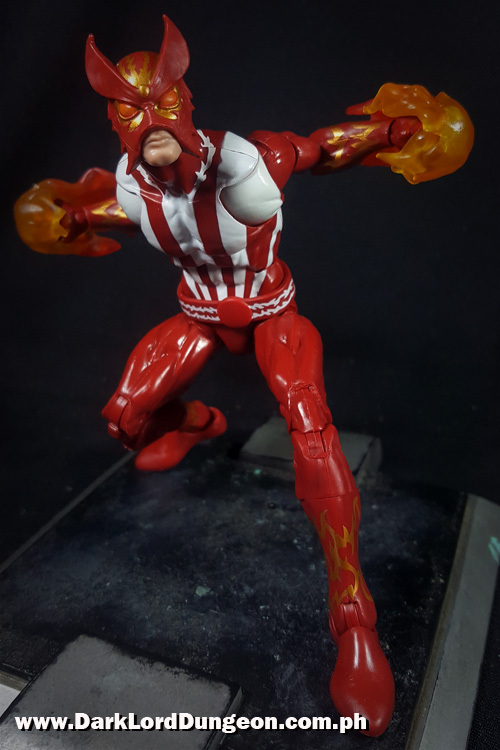 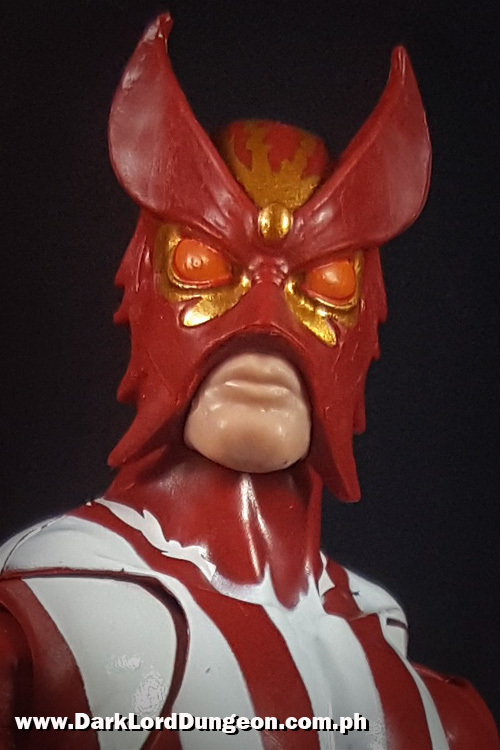 FIRST: We're really fond about Sunfire's facial sculpt. 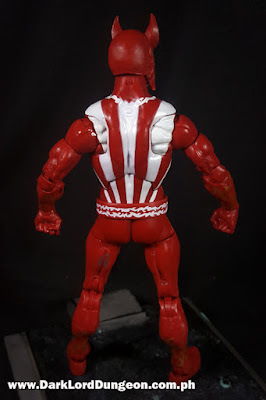 Other than the fact that it's obviously original and made for him, it's really well detailed. 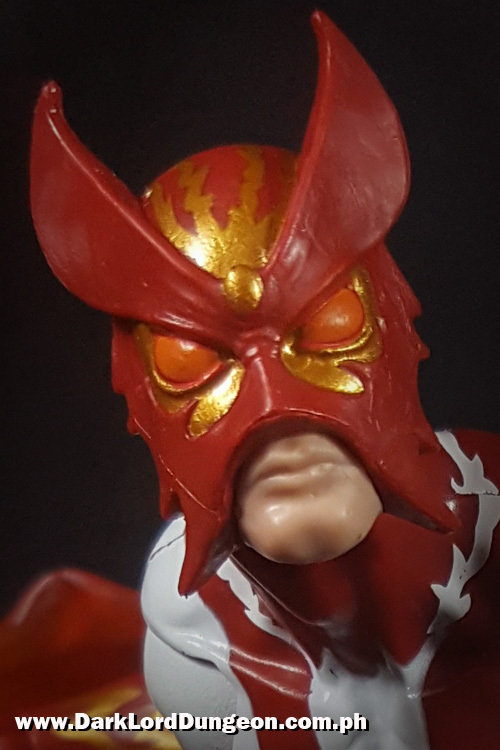 MArvel didn't scrimp on his jowls and horns; the dark gold blends really well with the blood red, and; the grim set jaw completes the personality of a man arrogant enough to wear a Dragon mask. 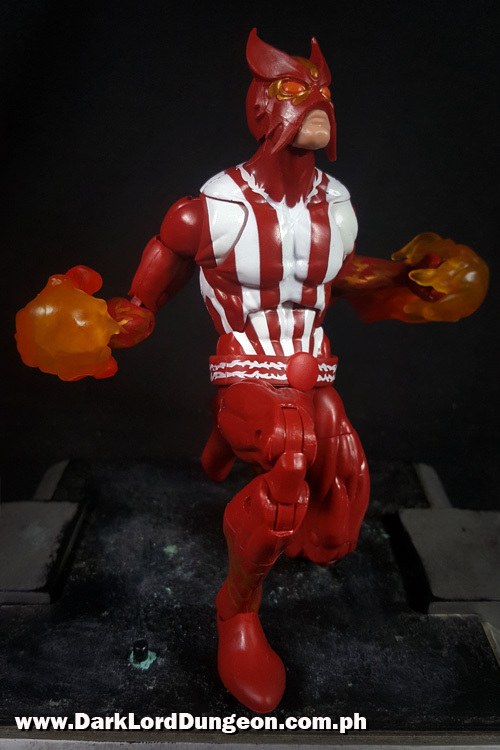 SECOND: We're also fond about how his "plasma-fire" cups his hands instead of just covering them, so they look more like a power manifestation than a cover-up. 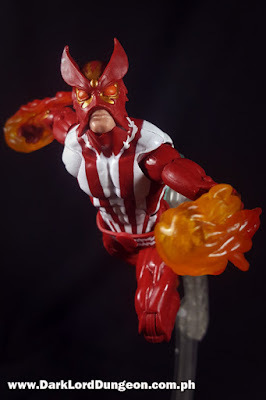 THIRD: Sunfire was built out of a Spider-man body. Ergo: Damn! He can move! 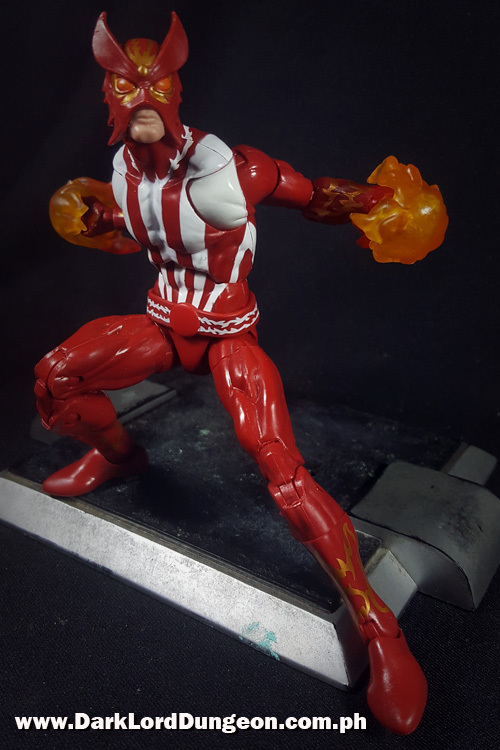 And we're loving it! 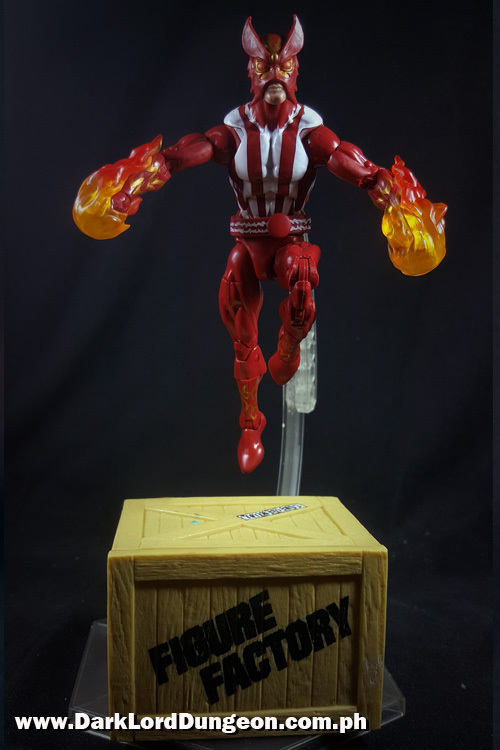 I hold power and glory in my sway! I shall smite the eternal enemy...humble him...with all the vast powers at my command! 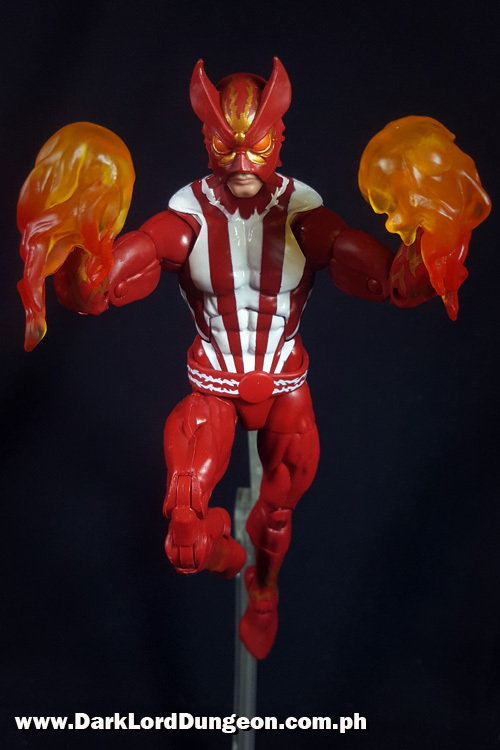 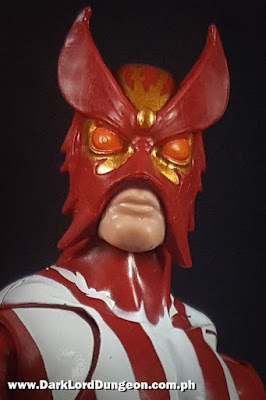 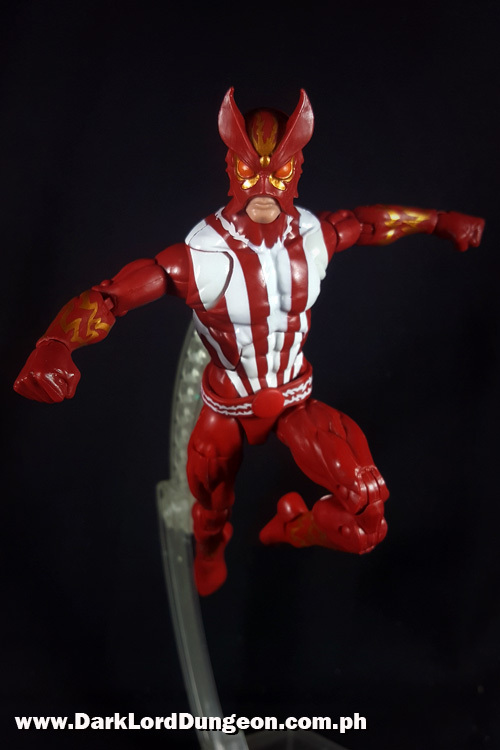 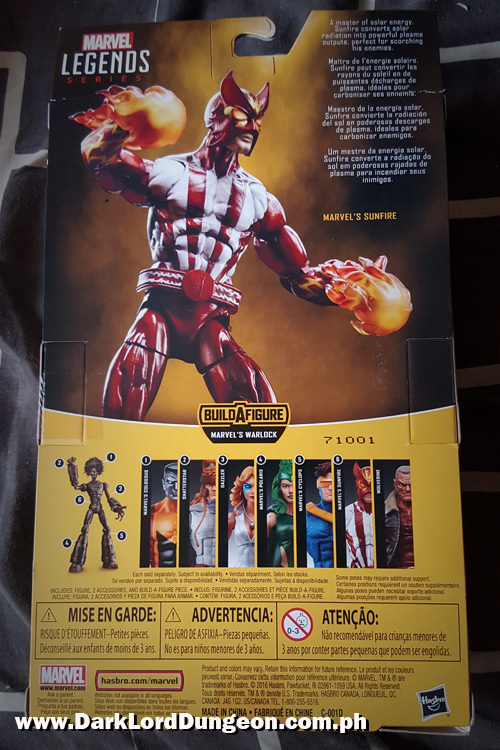 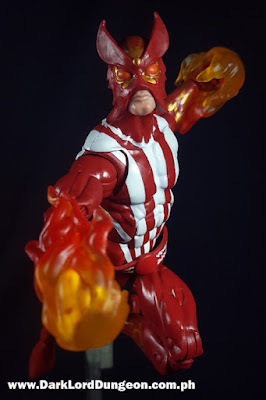 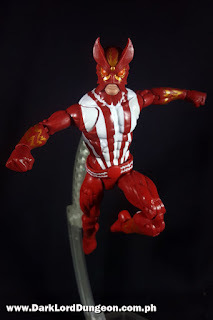 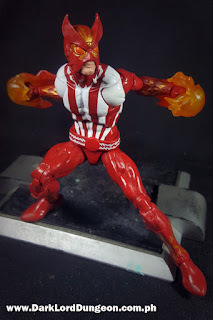 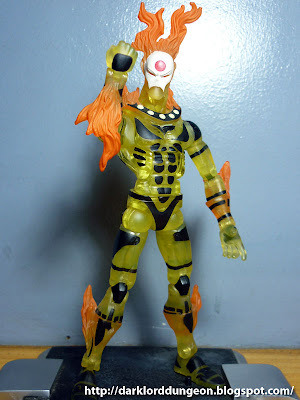 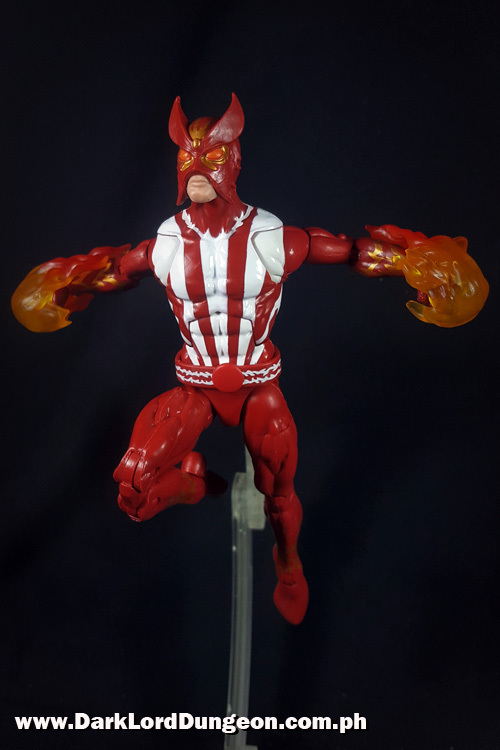 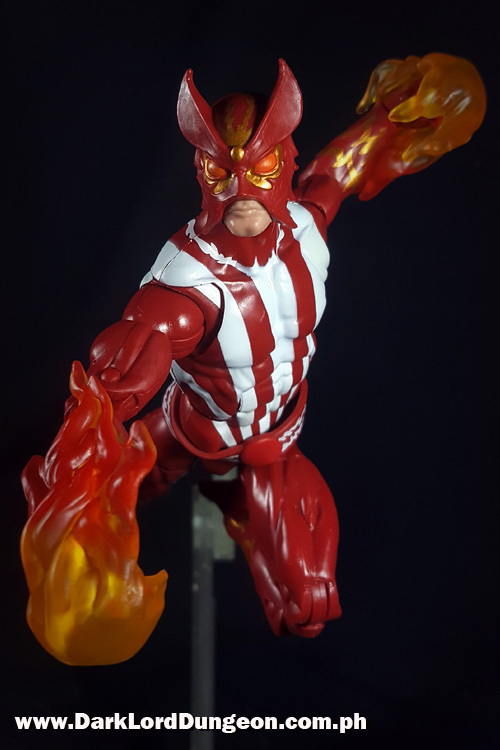 WHAT'S NOT TO LIKE ABOUT THE MARVEL LEGENDS X-MEN SERIES SUNFIRE ACTION FIGURE? FIRST: Nothing actually. This is one of the best Marvel Legends action figures to be made in our opinion. 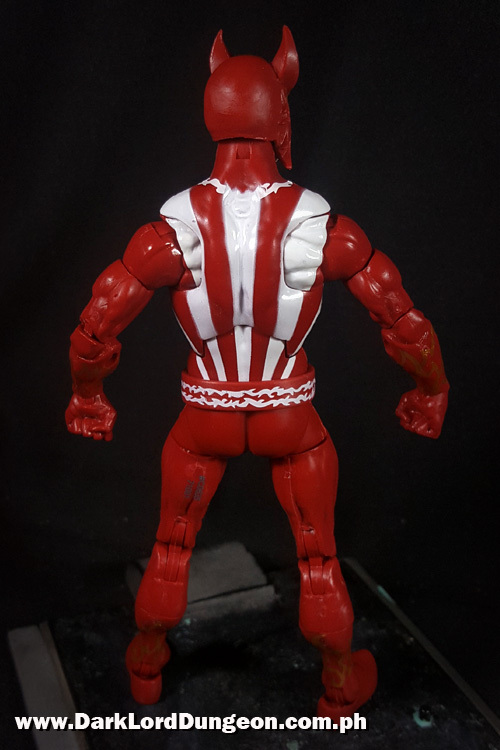 The only things we have to nitpick would be the empty shield at his belt. 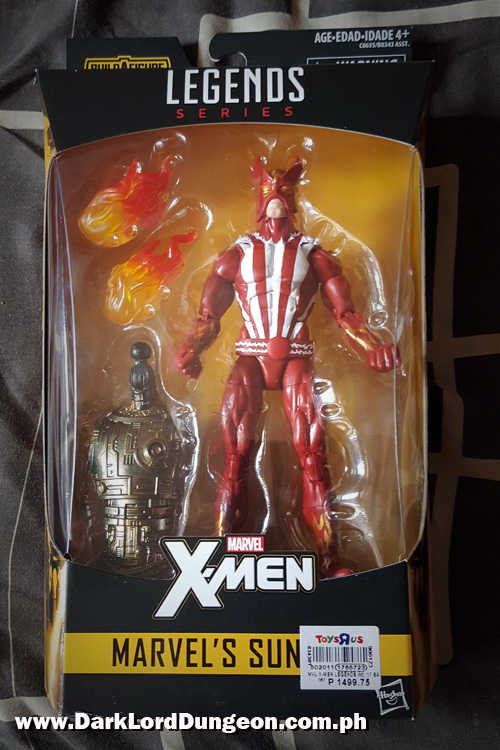 This is a nitpick because we don't think we've ever seen Sunfire bear the X of the X-Men even when he was a member. 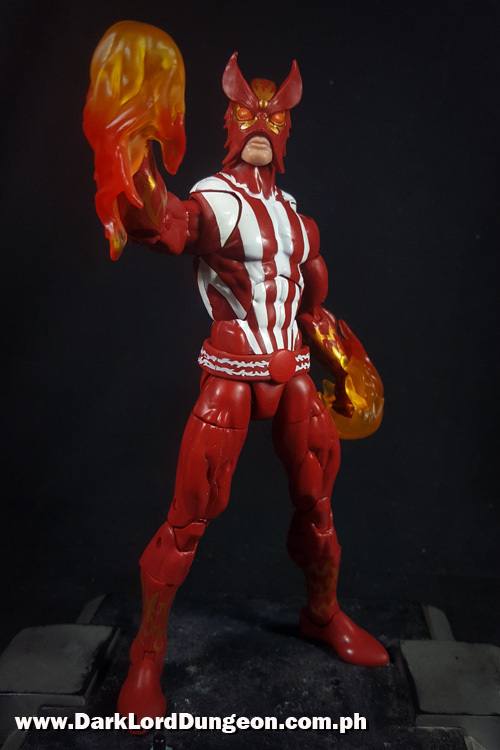 Would be nice if he did though. 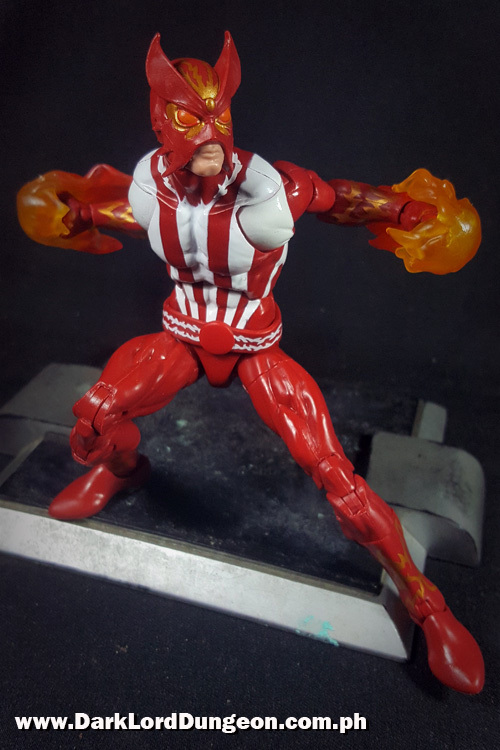 The other nitpick is that Sunfire today uses a lot more gold in his costume. 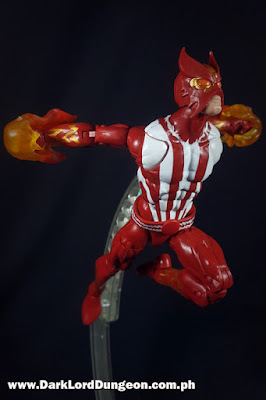 Again a nitpick and a personal preference. 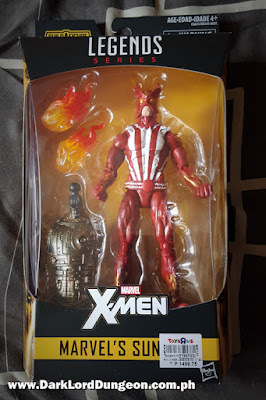 This awesome figure is available on Amazon for US$ 15.51 (Roughly PhP 800 plus shipping).